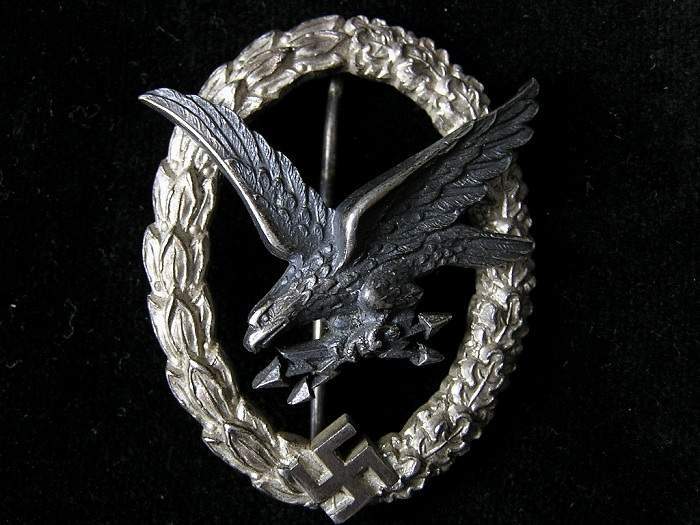 This badge has had it's original pin replaced with a pin from a German Cross!! 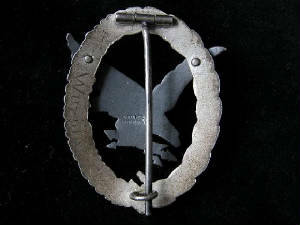 The underside of this pin bears the maker mark '20' for Zimmermann. 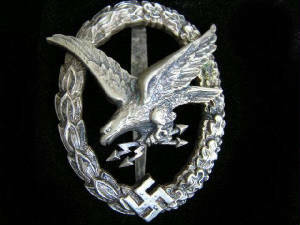 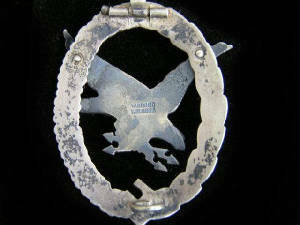 It was found attached to a modern Luftwaffe peaked cap on Ebay.